It's summer, which means it's hot!! How about these little babies for you or your kids or to take to a 4th of July celebration to cool everyone off. I use the same base for these as my Red, White & Blue mojito and then add a creamy finish at the end with coconut milk. 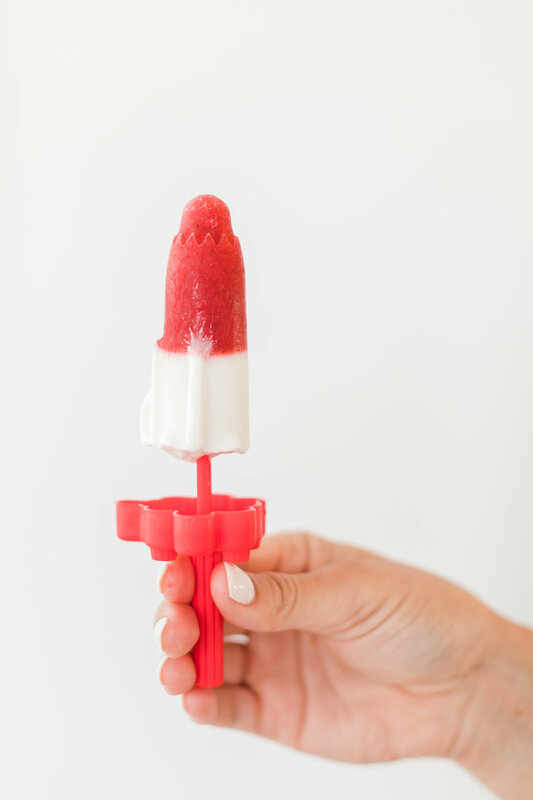 And how cute are these little rocket pop molds?! Hope you love these as much as I do, I can't keep them in my house longer than a day. Place all ingredients in the blender. Blend until smooth. Strain through a mesh sieve and set aside. Place in blender and combine all ingredients. Fill molds half way with strawberry puree and set in freezer until set (about 2 hours). 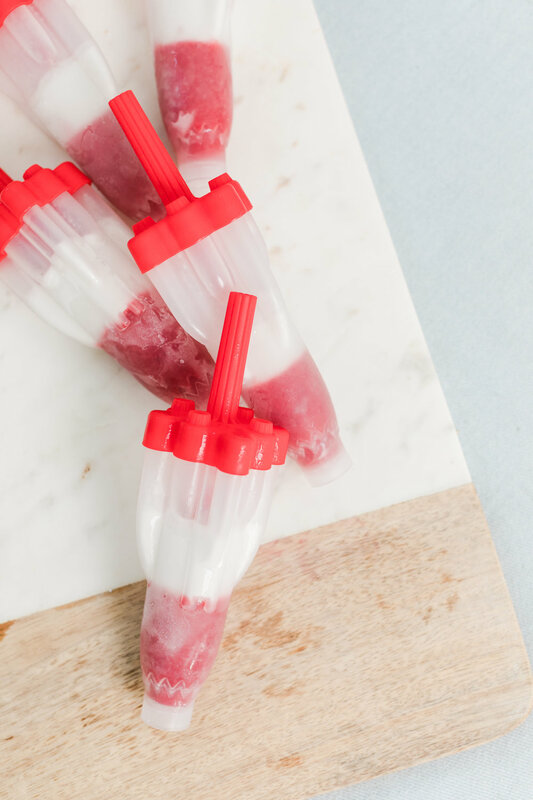 Gently pull out popsicle (I run them under warm water to loosen them first), ladle in coconut mixture and place back in the freezer to let set. It's that simple! Lately I have been CRAVING anything cold! Seriously, I'm finding myself at Pressed Juicery getting their freezes and pineapple mint juice WAY too often! This is a healthy, naturally sweetened way to save myself money and a trip to the mall for my cravings. Oh and I love that it's a healthy snack I don't have to feel guilty running back to the freezer for. These also make a great addition to cocktails! Enjoy!